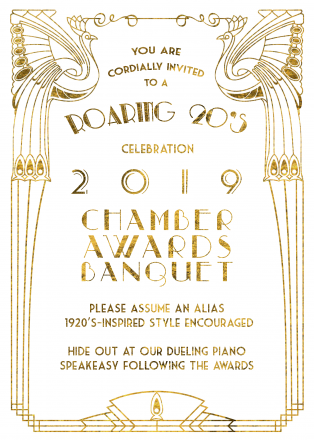 The Ardmore Chamber of Commerce would like to invite all our members to the 2019 Annual Awards Banquet. 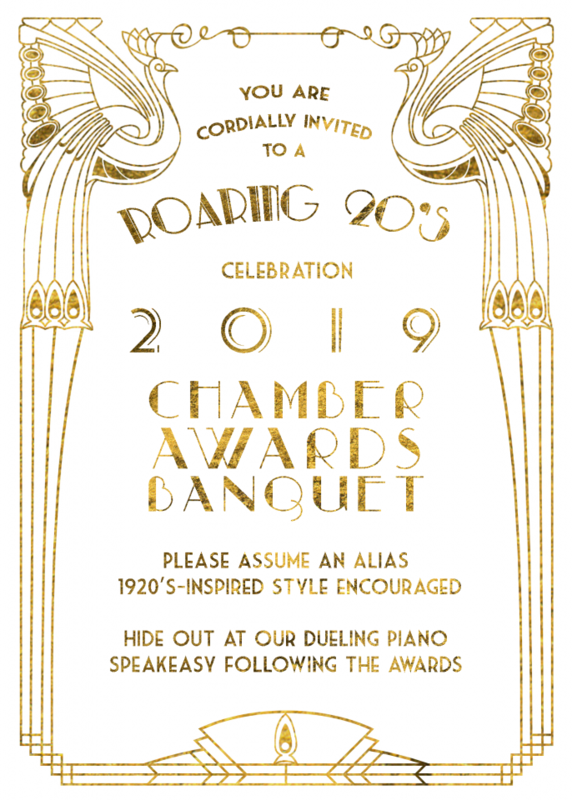 This year, we will be celebrating in high speakeasy fashion, with a 1920's theme! This year’s annual event will be held on Friday, February 22, 2019 at the Ardmore Convention Center. The speakeasy theme and celebration of Ardmore will be carried out throughout the event and the energy level is guaranteed to create a memorable banquet. Guests are invited to wear their 1920's best and stay after the ceremony to enjoy our dueling piano speakeasy bar!